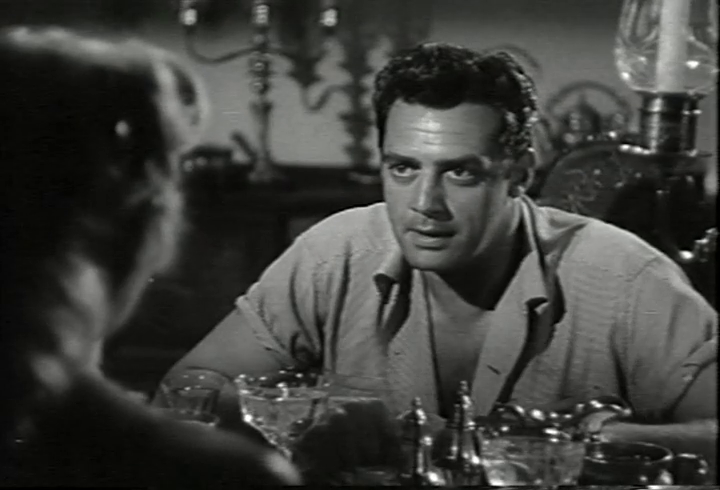 A doctor (Tom Conway) and a hot-headed overseer (Raymond Burr) lust after the beautiful wife (Barbara Payton) of a plantation owner (Paul Cavanaugh), while a native servant (Carol Varga) pines for Burr. When Burr arranges to have Cavanaugh killed by a poisonous snake, a local witch (Gisela Werisbek) places a curse on him, complicating his goal of running away with Payton. But as DVD Savant notes in his review, “anyone who read the script and signed on had to be in denial, or totally unaware that writer-director Curt Siodmak’s bizarre jungle story was a Career Choice of No Return”. Watch White Cargo (1942) instead if you’re in the mood for this kind of steamy exploitation flick. P.S. Note that Lon Chaney Jr. and Woody Strode hover around the periphery of this film as a police commissioner and his deputy. No; feel free to skip this one unless you’re a diehard Burr fan. Listed as a Camp Classic in the back of Peary’s book. Peary sure did take in a LOT of these much-lower-tier titles. 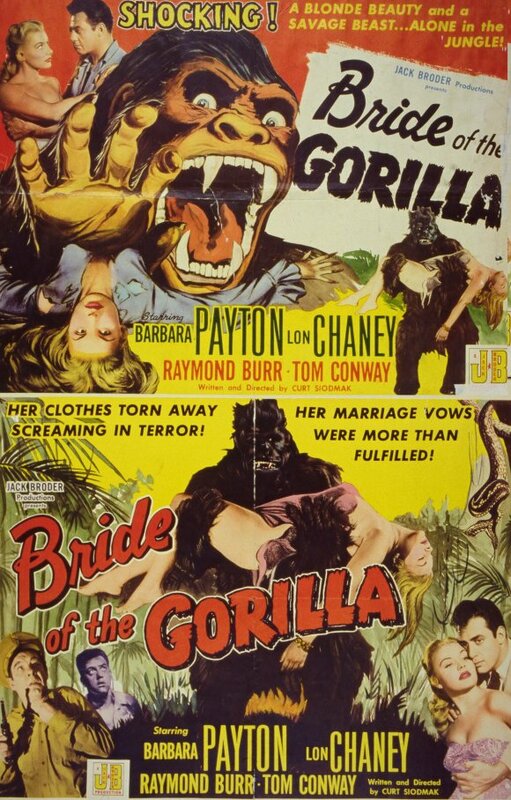 Perhaps when he was writing film criticism, publishing his books…film fanatics were more willing to at least give films like ‘Bride’ a once-over – even if they were not going to get a “so bad it’s good” experience out of it. I don’t know if that’s still the case. As the years go by, films like this fall deeper and deeper into obscurity, since they really have no redeeming features. It’s hard enough as it is getting people to watch old movies that are actually well-worth their time – I come across fewer and fewer (it seems). But to expect film lovers to dig into areas like this when they’re going to get absolutely nothing out of the experience…precious few these days, I think, would consider taking the time. I don’t even think this film is bad in the way that MST3K would benefit from it – but that’s really the only way to enjoy something like this: watch their version, or create your own with friends. Side note: Writer/director Curt Siodmak here re-hashes material that he wrote for Universal Studios years prior. Of some interest, Lon Chaney Jr. appeared in ‘Son of Dracula’ – for which Siodmak gets ‘Original Story’ credit…and that film is one that I have a fondness for, I believe.